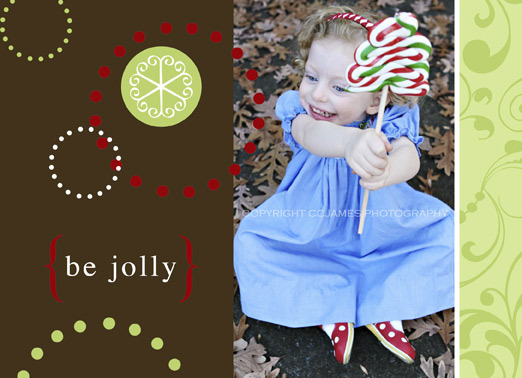 I’m soooo excited about these designs! I love the modern, yet elegant flare! 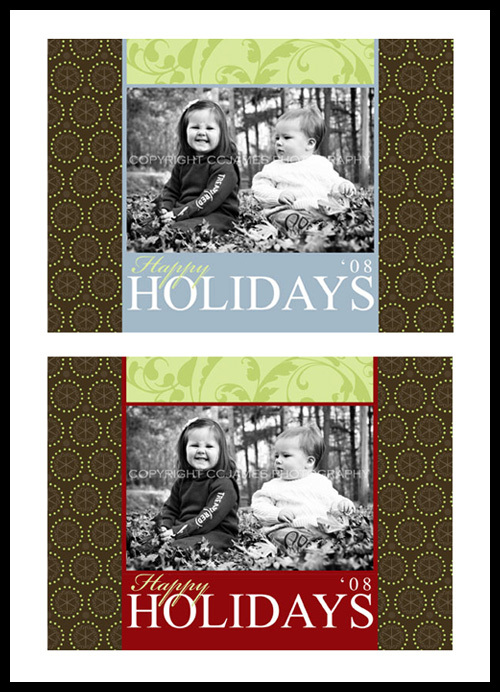 They each have a blue/brown or a red/green color theme and they have optional back sides – for those of you that have more to say – or want to include more pictures. 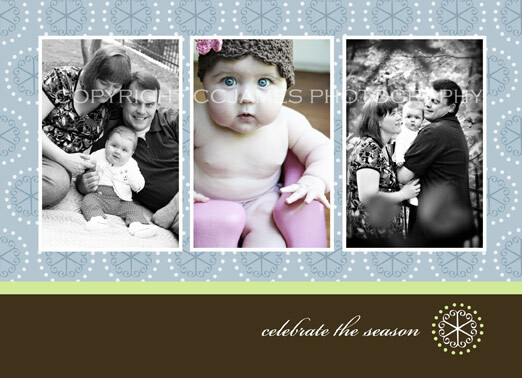 If you opt to do a one-sided design, we can add names/date, etc to the front of the cards. 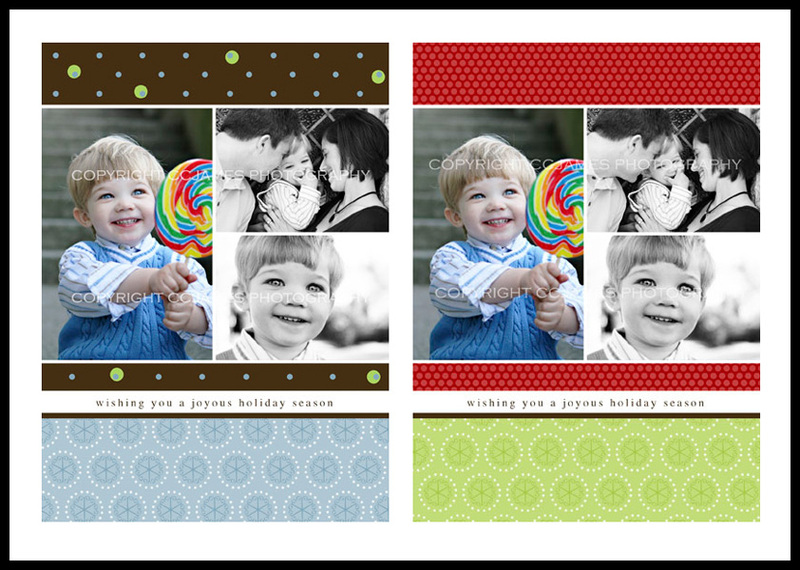 Here’s some samples – showing both color options. 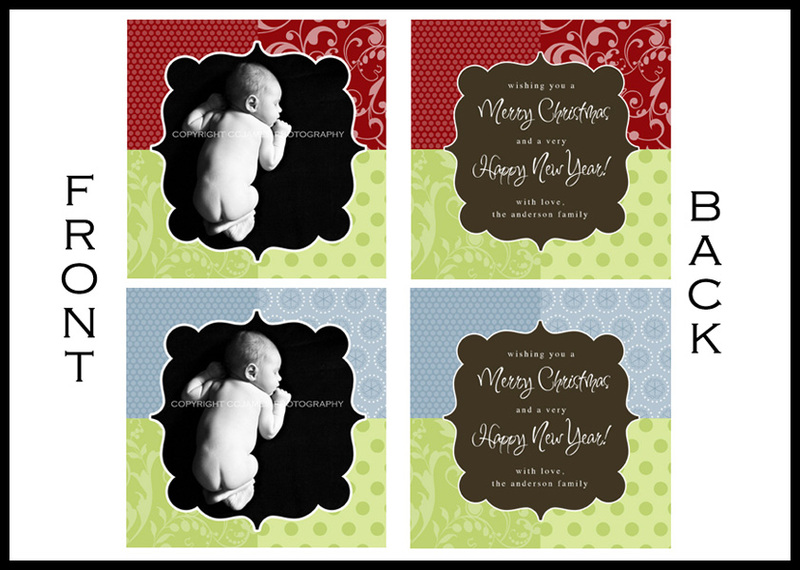 I have more cards and I’m planning to make a sample sheet that I can email to you when you’re trying to decide on your design. This first one is a 5×5 design – the rest are 5×7 size.